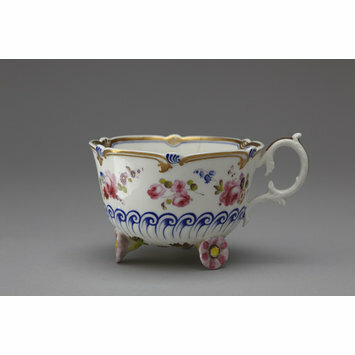 Tea cup of bone china painted in colours, gilded and with applied relief decoration. Supported on three pink flowers applied in relief. 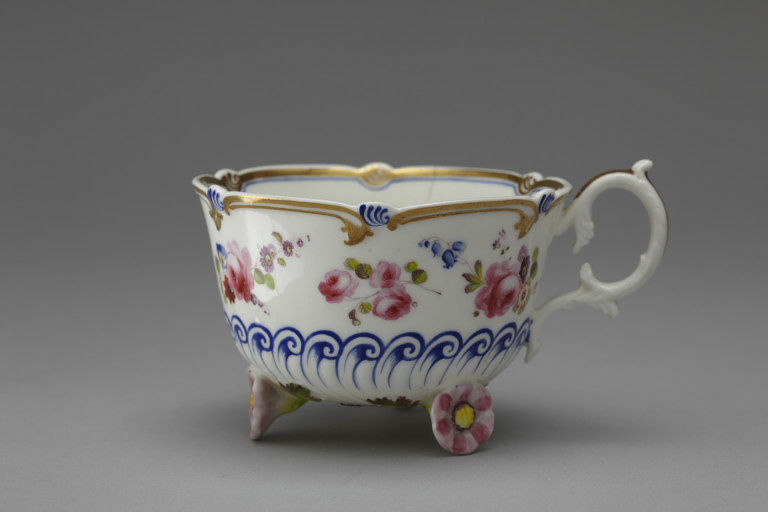 Wavy edge with a border of gilt scrolls and a foliated loop handle. The lower part has a row of scrolls in relief and painted over in enamel blue.